Bea Maddock was one of the most significant Australian printmakers from the 1970s, during which time her pioneering use of photo-etching had a broad impact in Australia, especially during her time as lecturer of printmaking at the Victorian College of the Arts, Melbourne from 1970-1981. From 1970, Maddock began incorporating found images, such as anonymous press images, and photographs by herself and others, into her prints. These images were manipulated on the plate, or even the negative, and often were of recognisable subjects, such as the one used in 'Seven'. 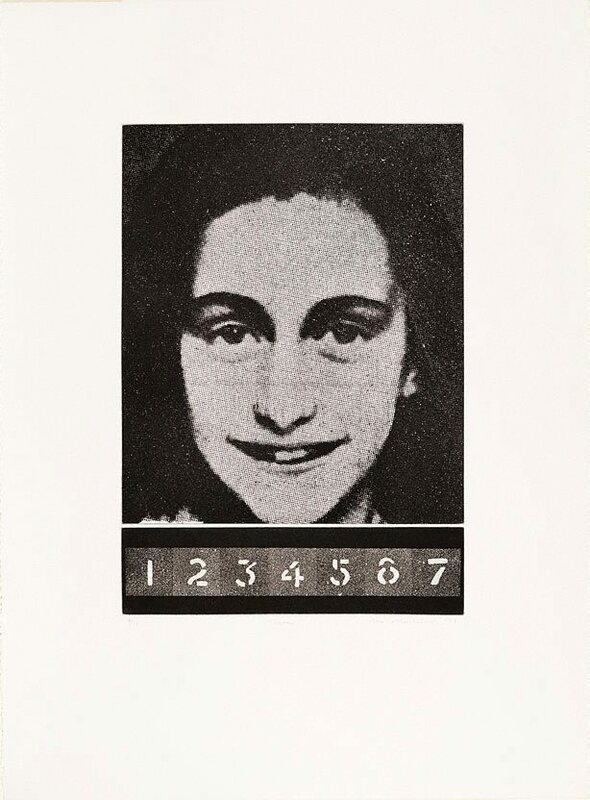 This depicts Anne Frank, whose diary of her experiences as a Jew during the Nazi occupation of Holland was published after her death, and has been read widely since. Maddock used conventional printmaking techniques in her compositions in conjunction with the photographic images, often incorporating grids and conceiving works within series, but did not provide explanations of her subjects, leaving interpretation to the viewer. Signed and dated l.r., pencil "Bea. Maddock ´74".